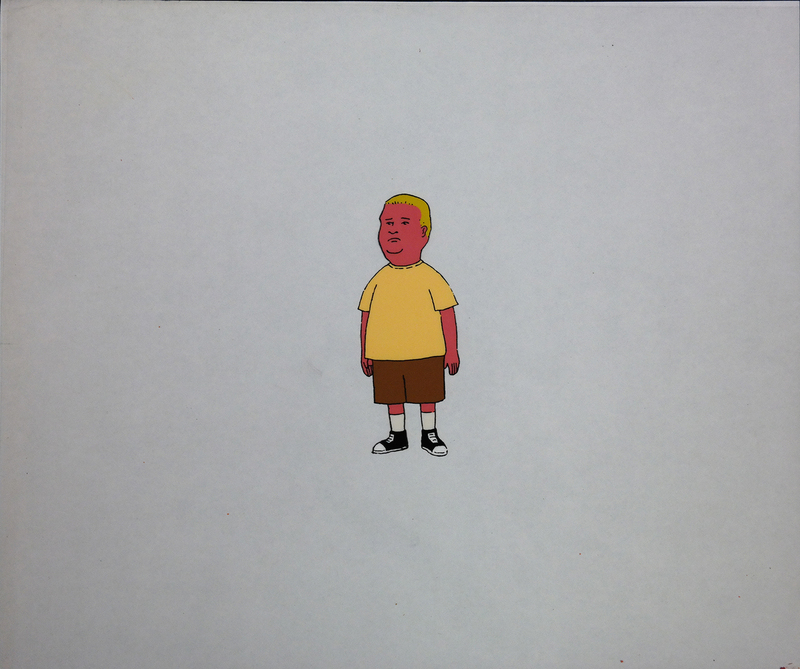 This is a rare early model cel of Bobby Hill from King of the Hill (1997). 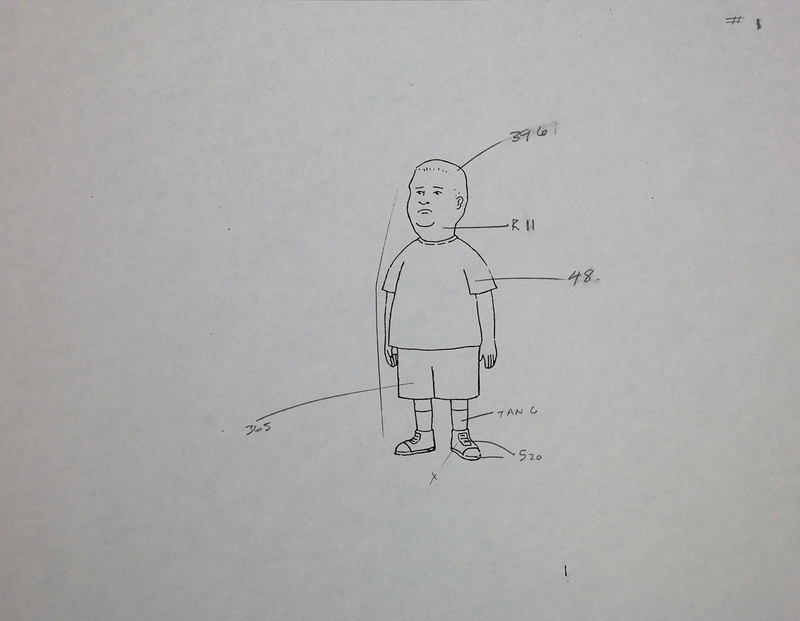 It includes a hand-noted xerox model drawing with color call-outs. The untrimmed cel measures 10.5" x 12.5" cel, the untrimmed paper measures 8.5" x 11", and the image measures 4" x 1.5".